So since I haven't shared a favorite TV show with you in months, I don't feel bad about adding two. I have a love affair with Connie Britton after watching Friday Night Lights, so I caught up on Season 1 and started watching this season live. It definitely fills the number one soap-drama spot on my TV list. The Blacklist, on the other end of the spectrum, pulls at my 24 heartstrings. It reminds me so much of my Jack Bauer-loving days, and it probably doesn't hurt that the main character Elizabeth Keen looks identical to Michelle Dessler. So I know you would think I would be the stereotypical white 90s child & put Hocus Pocus, but I just love Halloweentown. I DVRed all four movies (even though the first one is by far the best) & had an eight-hour binge sesh right before Halloween. If you have never seen Halloweentown, you missed out on an integral part of your childhood. 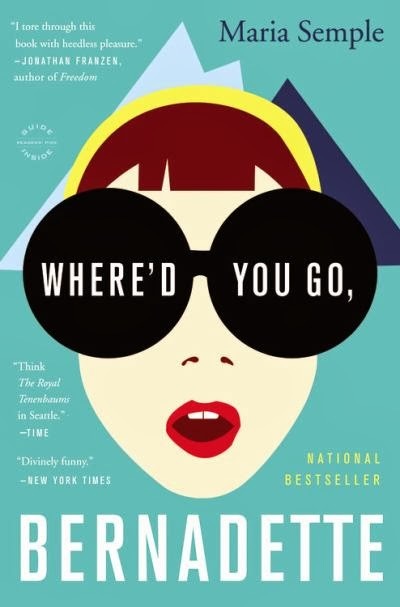 Book: Where'd You Go, Bernadette? A ton of my friends had read this and recommended it, but I had never gotten around to picking it up until recently. I absolutely loved it. It's a super different book (not your stereotypical plot line), and I fell in love with the way it was written. I even recommended it to my boyfriend based on the fact that it has a lot of technology-related undertones in it (being set in Seattle with many characters working at Microsoft). When I think of fall, the Franklin Cider Mill is the epitome of it to me. It is open from Labor Day weekend to Thanksgiving weekend, and it is the most incredibly amazing place to spend a fall Saturday. Their donuts are made fresh every single day, and you get them in a brown paper bag piping hot out of the oven, so hot that there is grease on the bag. Amazing. So technically this is a savory drink & not food, and the reason it falls under this category is because their cider is more of the tart kind, not sweet. The combination of their donuts & cider is unbeatable. Starbucks Drink: Pumpkin. Spice. Latte. I don't think any other explanation is needed. 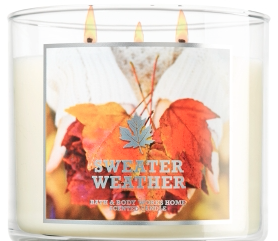 I have finally gotten back into my candle game and picked up this new one for fall! It sounds like a weird combination, but I promise if you smell it you will like it. It's a fresher fall scent as opposed to the typical spicy ones. It's described as "cuddle up with an aromatic blend of eucalyptus, juniper berry and fresh sage that celebrates the arrival of sweater weather." Holy crap. One thing that I discovered this month with the start of The Voice (which is by far the best TV singing show out there) is that I am 100% NBC / iTunes target audience with their single releases by their contestants. I've probably spent a solid $30 on songs from the show. Top three that you absolutely need in your collection? 'Let Her Go' by Cole Vosbury, 'The Way I Am' by Caroline Pennell, & 'House of the Rising Sun' by Jacquie Lee. Hukkster is an app that lets you 'hukk' things onto your home page (similar to pinning), but the purpose of hukking is so that Hukkster can notify you when your items go on sale. 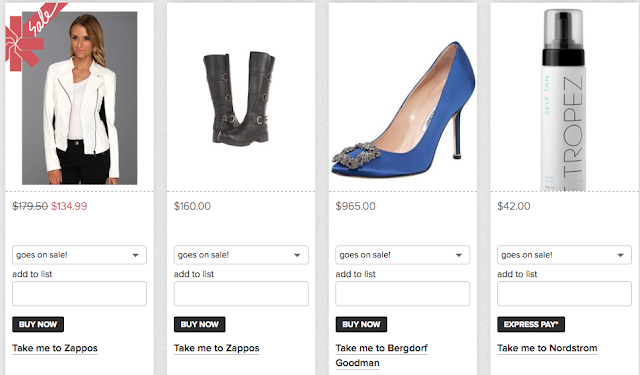 They have partnered with hundreds of different shopping sites, including Bergdorfs, Nordstrom, Zappos, and many others, so pretty much anywhere you online shop, you'll be able to hukk your favorite products. You can choose what level of discount you want to be notified at (i.e. any discount, 25%, 50%, etc. ), and then it will let you purchase right from the site (redirecting you to the retailer). Here is an example of what a Hukkster homepage could look like. As you can see, the Calvin Klein jacket on the left is on sale, which it immediately sent me a notification of so I could decide if I wanted to purchase it. 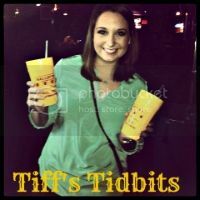 It is such an awesome tool, especially for an online shopping addict like me! Now I know basically no one reading this will know who this man is because he isn't someone I blog about, but he deserves this spot. Mr. Carniak has been an amazing influence & made a huge impact on my life in the last few months. He is a good friend of my family's & I grew up with his daughter Lindsay. 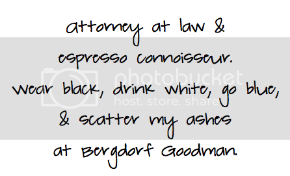 Ever since I went to law school, he has always taken an incredibly vested interest in my legal career. He wrote one of my bar reference letters, he was my sponsor at my swearing-in ceremony earlier today, and he also searched high and low for me until he found me a job. It has been invaluable having someone so supportive in my corner & I don't have enough words to thank him.